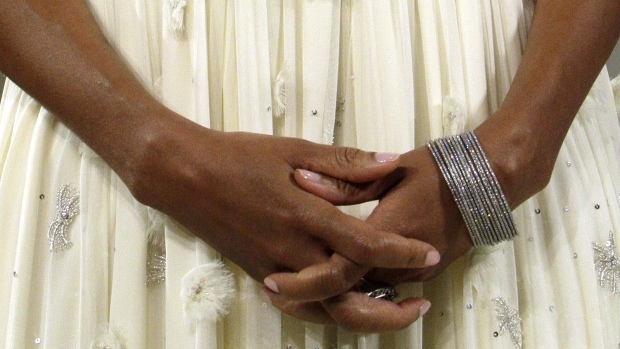 What other artistic industry does Michelle Obama plan on saving? Michelle Obama’s role as cultural leader of the United States reached a tipping point Monday. That’s when the first lady had to be in two places at once in order to lend her considerable clout to various art forms. On one hand she had to help prop up the fashion industry and on the other she had to give the jazz industry a shot in the arm. What to do, what to do? The first lady decided on both. Michelle hosted 150 jazz students at her place during the launch of her soon-to-be regular White House Music Festival. The students, chosen from the nation’s top music schools, had the chance to workshop with contemporary jazz legends like Wynton Marsalis and Paquito D’Rivera. At the event the Obama compared jazz to democracy and said she wants young people, including her own daughters, Malia and Sasha, to be "aware of all kinds of music — other than hip-hop." At the same time as the launch of her concert series the first lady was being honored at The Council of Fashion Designers of America with a special tribute award. Noting her "meteoric rise as a fashion icon," CFDA president Diane von Furstenberg said Obama had "a unique look that balances the duality of her lives" in her roles as trusted adviser to her husband, President Obama, and busy mother to their two daughters. Although she was missing from the crowd at Alice Tully Hall at Lincoln Center for the Performing Arts, Obama accepted her award via a pre-taped video speech. Wearing a crisp white button-down shirt and two strands of pearls, she honored fashion as an American "art form" with "ingenuity and craftsmanship that contribute so much to our economy and culture." Jazz and fashion in the same day! What’s next for the first lady? Perhaps she’ll revive art deco architecture or take up impressionist painting. The sky is the limit. Since their arrival in January, the Obamas have filled the White House with a wide array of art, from a concert honoring Stevie Wonder to a White House Poetry Slam and much more in between. 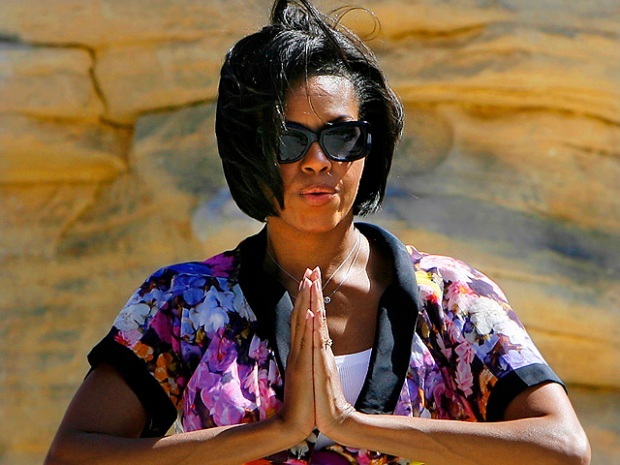 The first lady has also had an effect on American’s diets after she planted a vegetable garden on the White House grounds, and she’s inadvertantly helped launch a line of sleeveless T-shirts because of her propensity to bare her arms. Obama says she’s just doing what she promised when she became first lady by opening up the White House and supporting the arts. Most people took that to mean she would be a patron and take in an occasional show. But now it’s clear that she meant to single-handedly bring fashion, jazz and poetry to the masses.